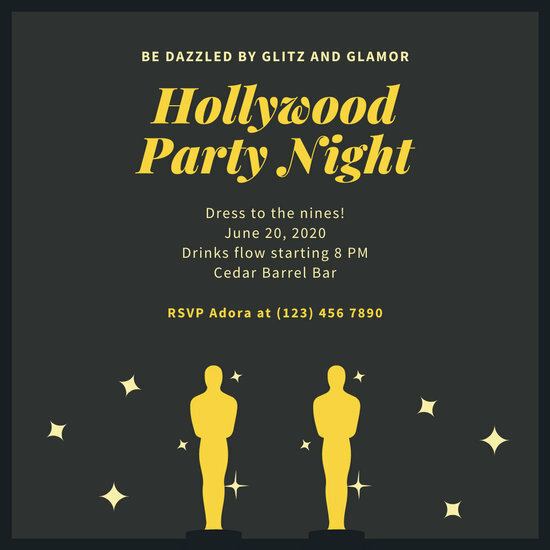 For a stellar, red carpet party, use one of Canva's ready made invitations to really wow your guests! 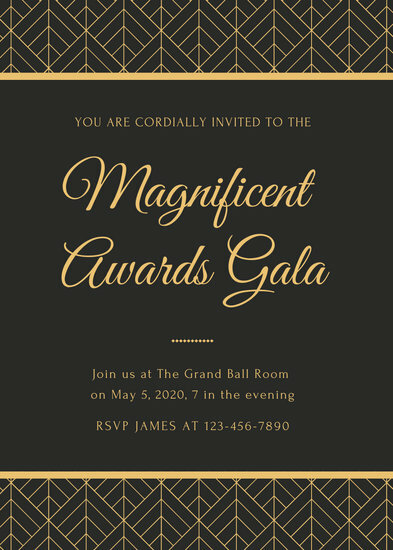 Even better, each design is fully customizable! 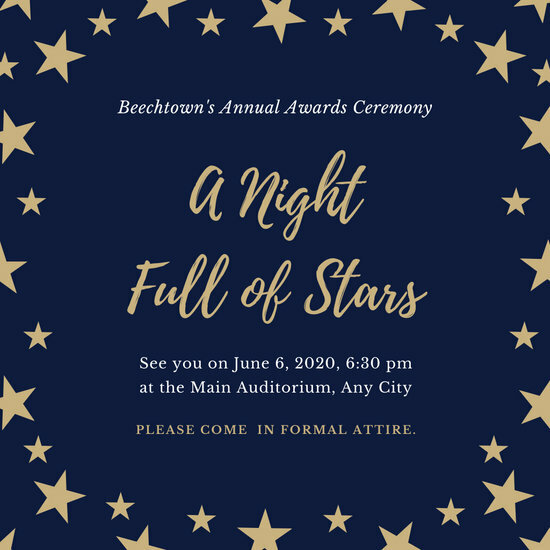 Planning an awards night is a grueling task, especially with the amount of preparations you need to make. 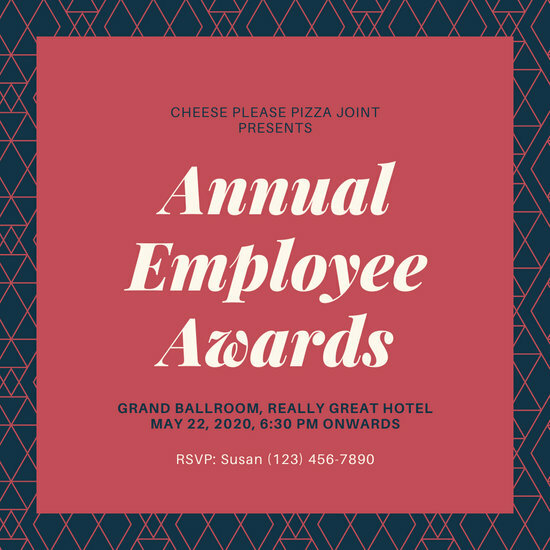 From the venue and decorations to the awards to be given out, your to-do list can get pretty lengthy with each demanding and time-consuming task. 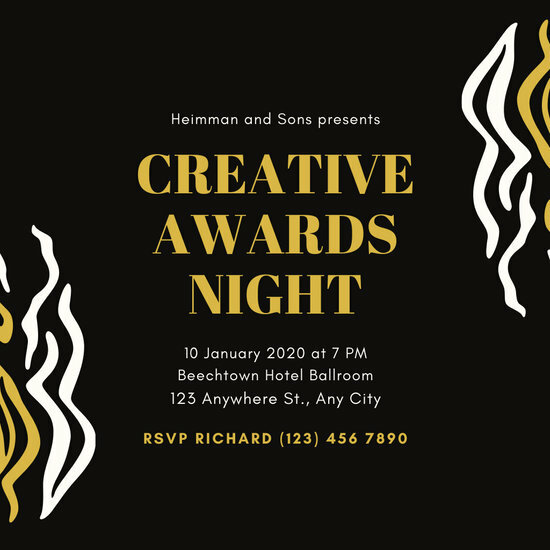 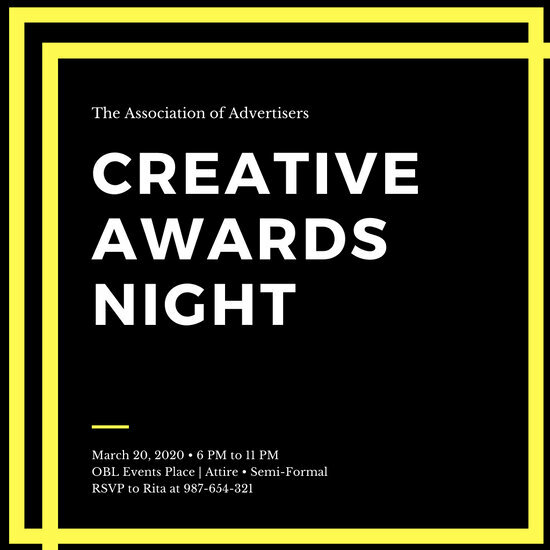 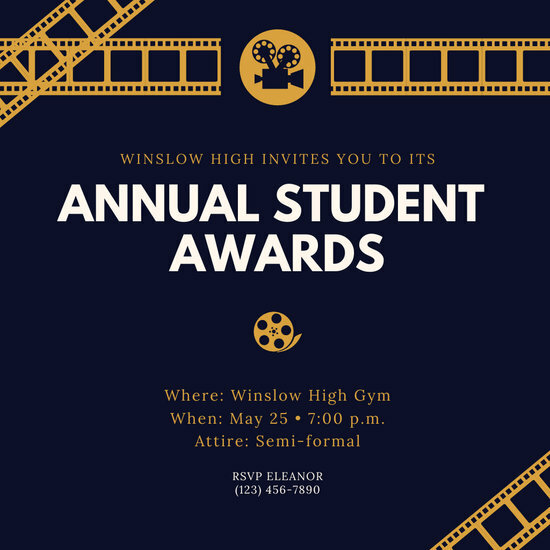 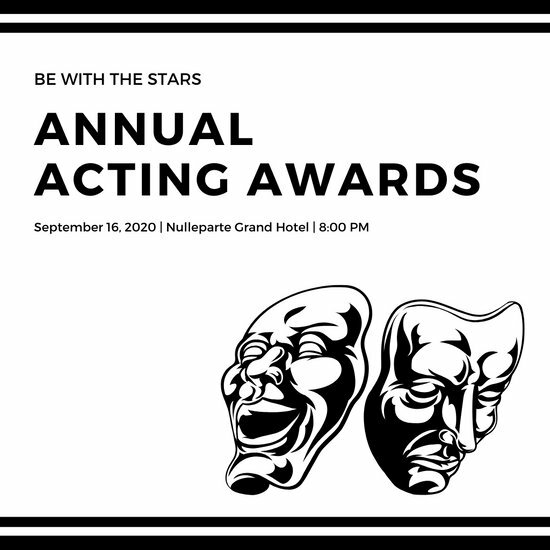 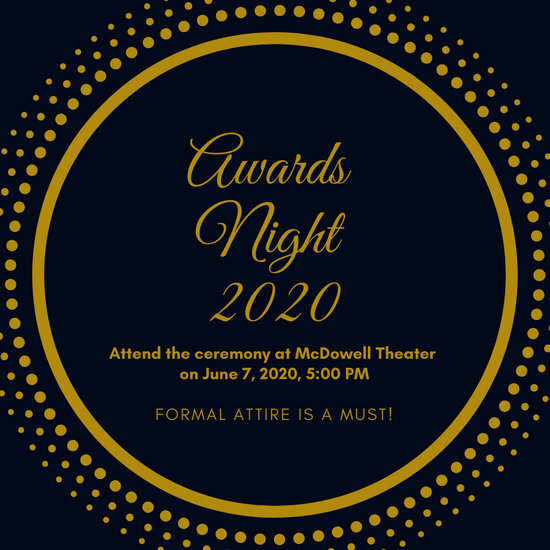 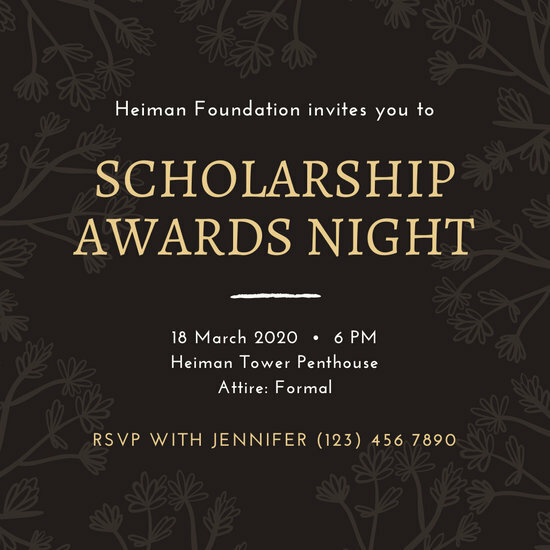 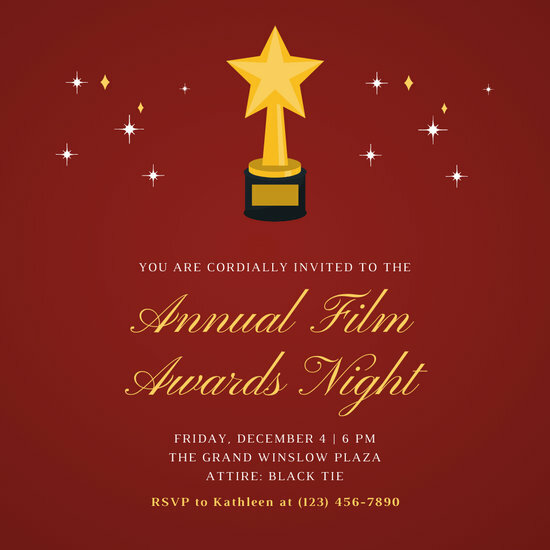 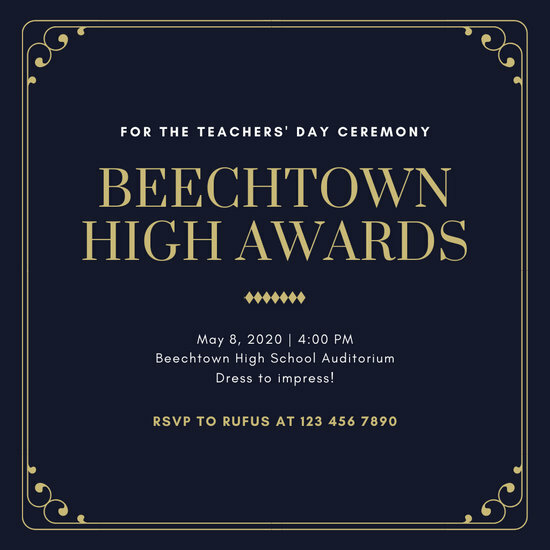 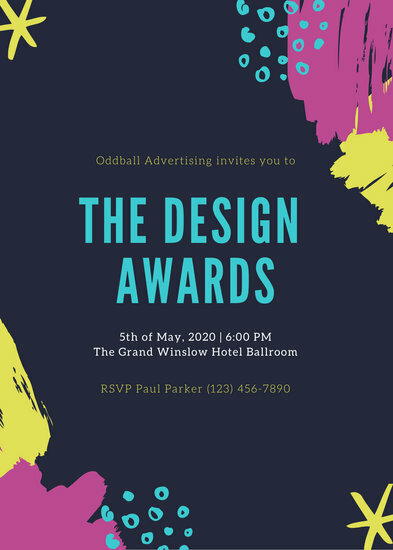 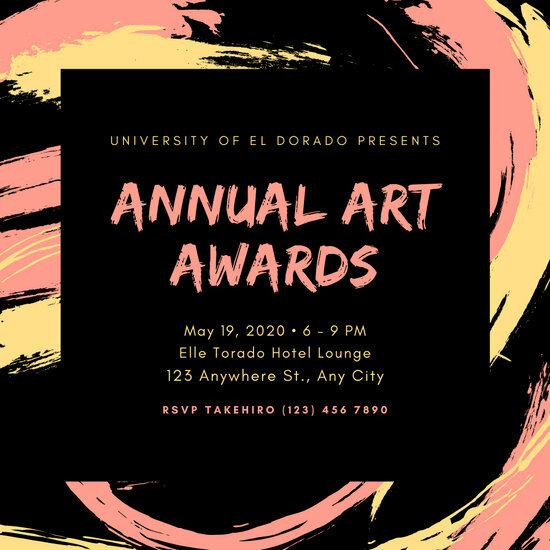 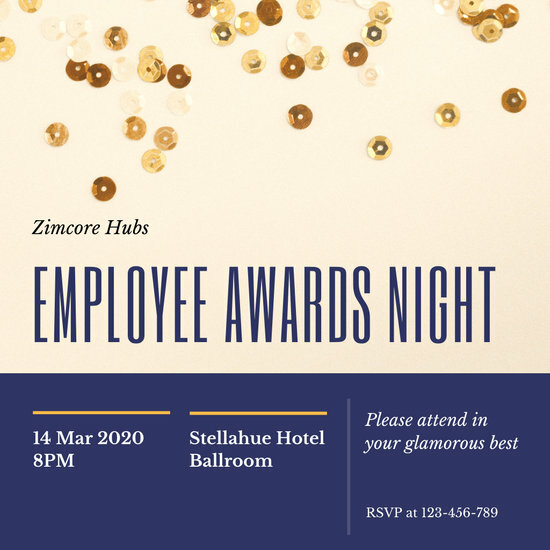 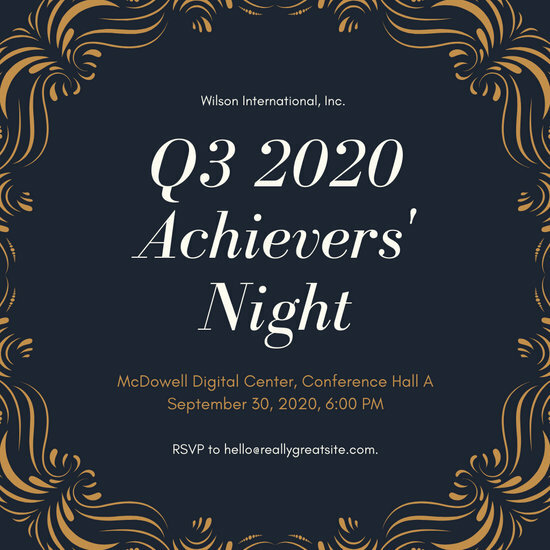 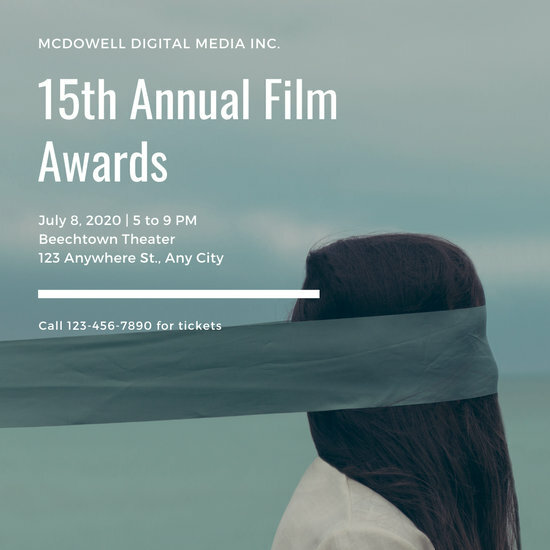 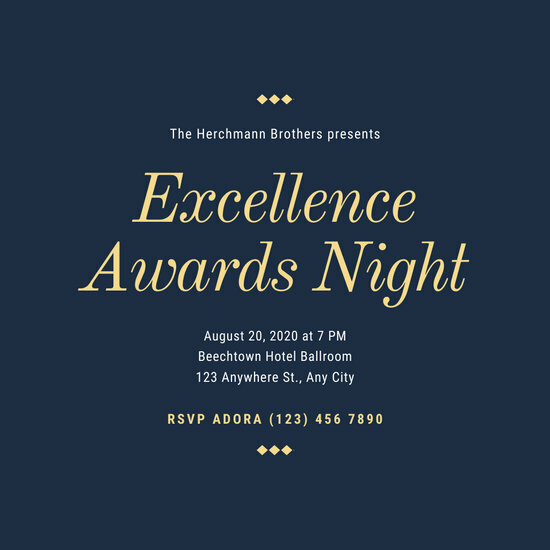 It's a good thing creating invitations isn't one of those dreaded tasks as Canva offers you a wide selection of awards night templates to use for your grand invitation. 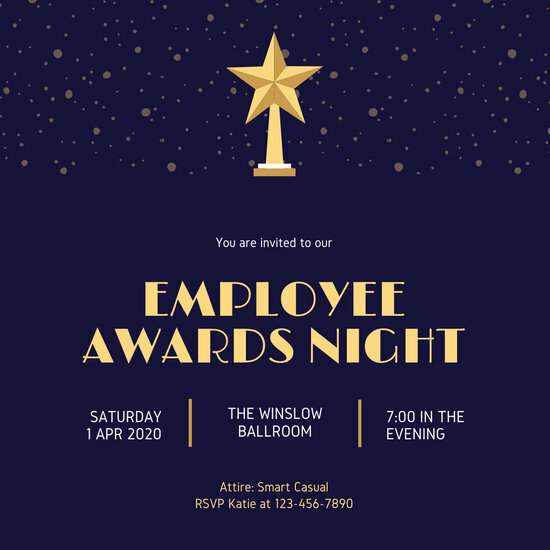 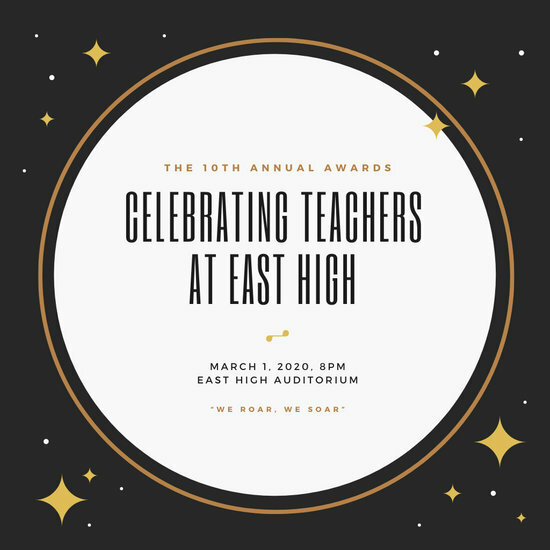 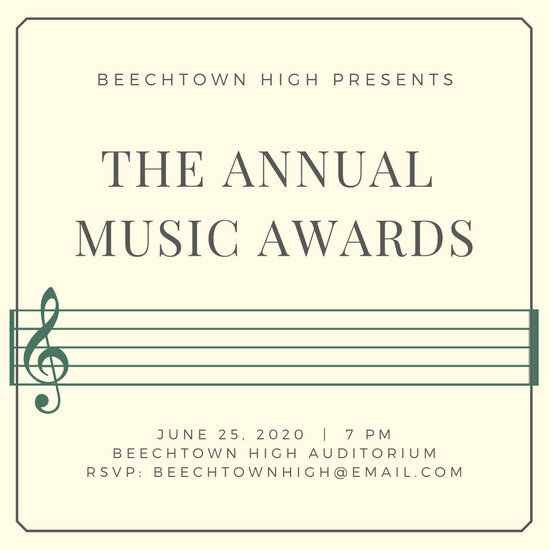 Whether it's an awards night for your school, company, or any organization, you have plenty of templates to choose from. 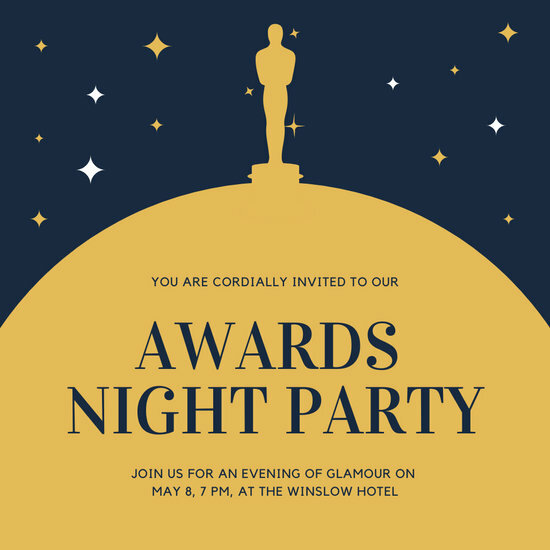 Select a design that suits your event, then make use of Canva's quick and easy editing tools to customize it into something uniquely yours. 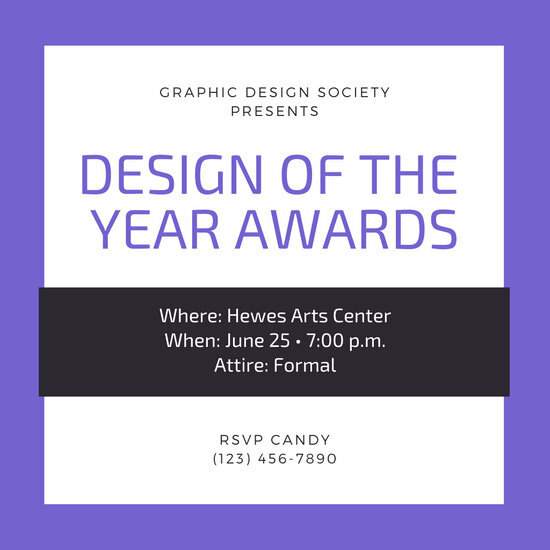 Change the colors on your design and select borders that would really catch the attention of your guests. 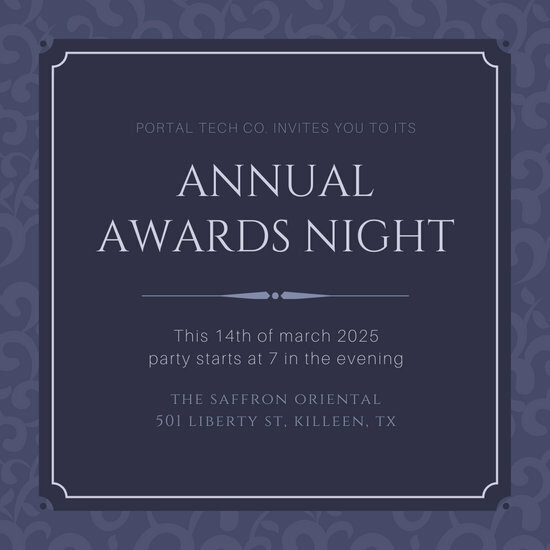 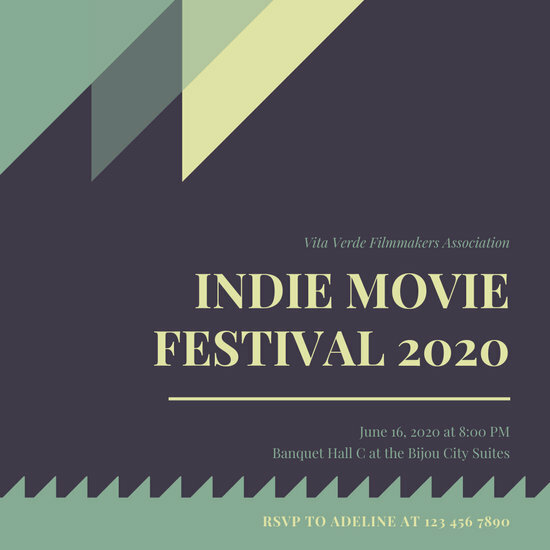 Using the text tool, type in the important details of the event including its date, time, and venue together with a catchy title. 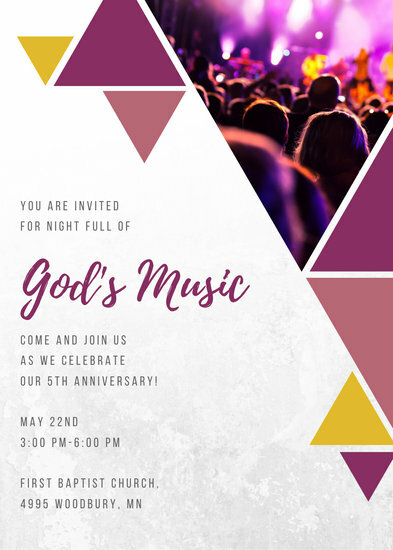 Browse Canva's media library and select icons and stickers that would complement your invitation. 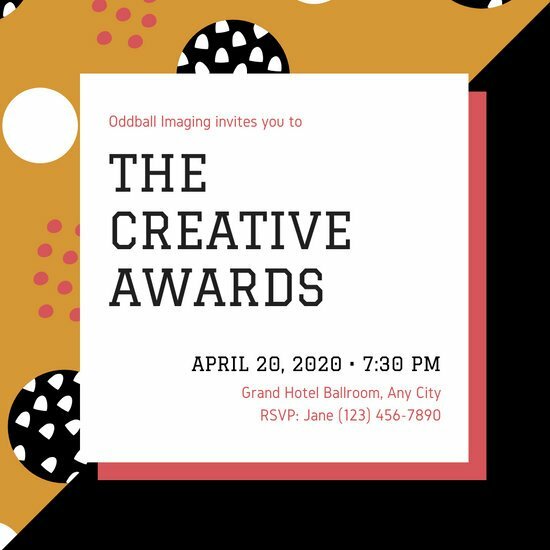 You can even include any photo of your choice by using the drag-and-drop uploader. 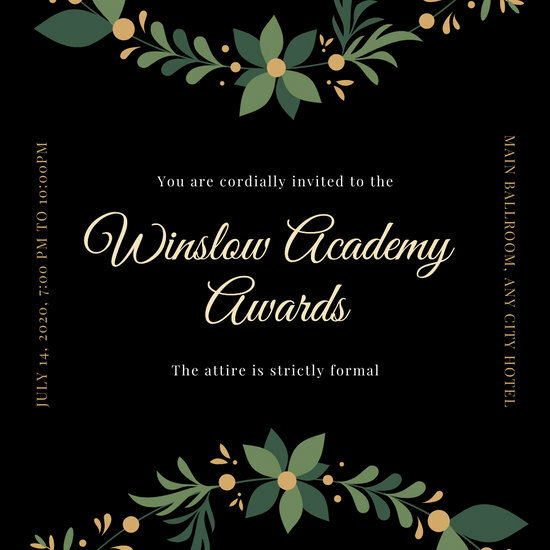 Edit your photo with the help of Canva's advanced filters and adjust details like brightness and contrast. 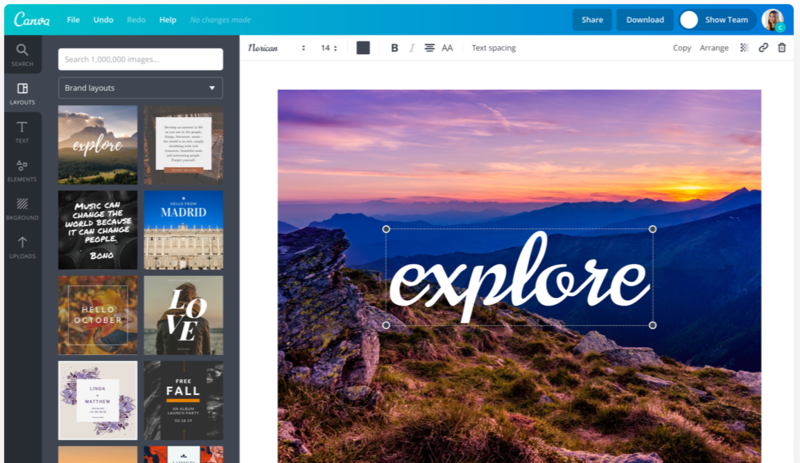 Alternately, you can choose from Canva's collection of professionally shot stock photos to include in your design. 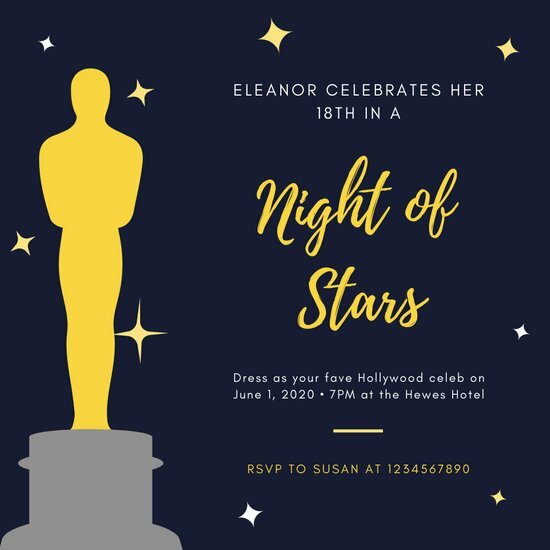 Of course, you can also get creative for the occasion! 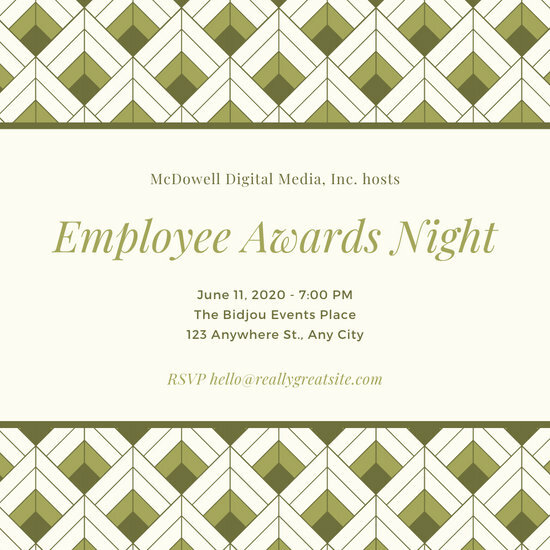 Each template is fully customizable and Canva has a whole suite of editing and design tools you can use to personalize each detail of your design. 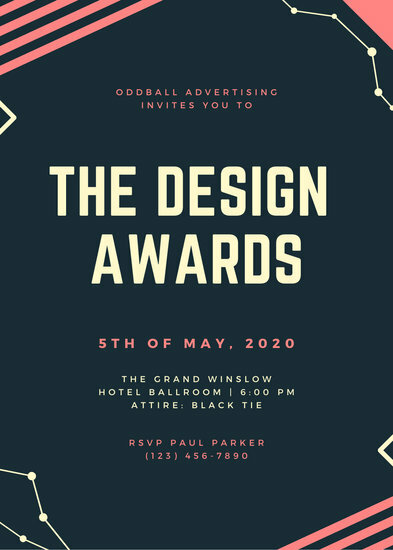 You can change the background, play around with the color scheme, add cool graphics, choose from a wide selection of gorgeous fonts, and more. 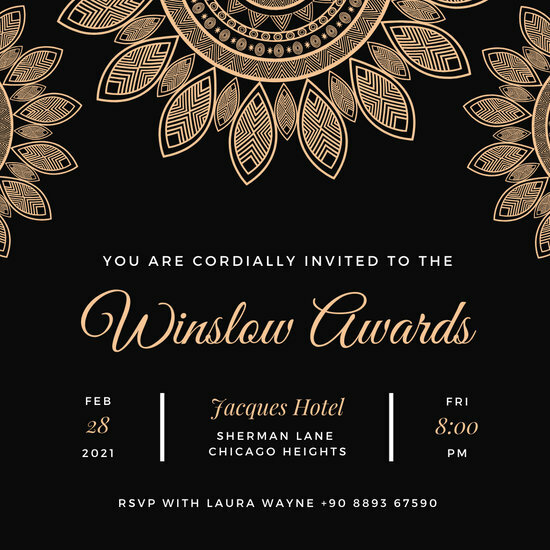 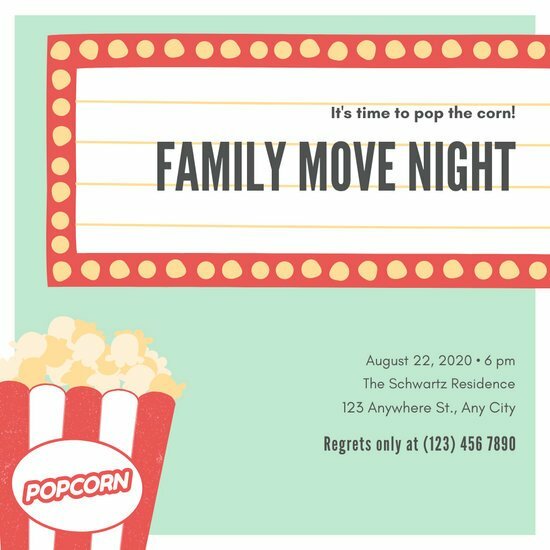 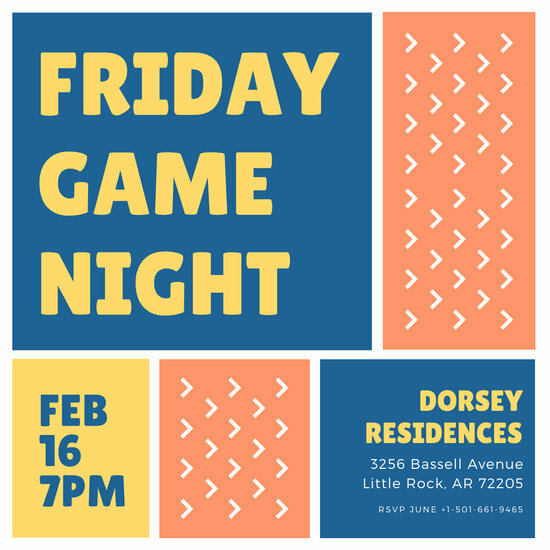 When you’re done with your new invite, save your design and send it directly to your printer or send it online via social media or email. 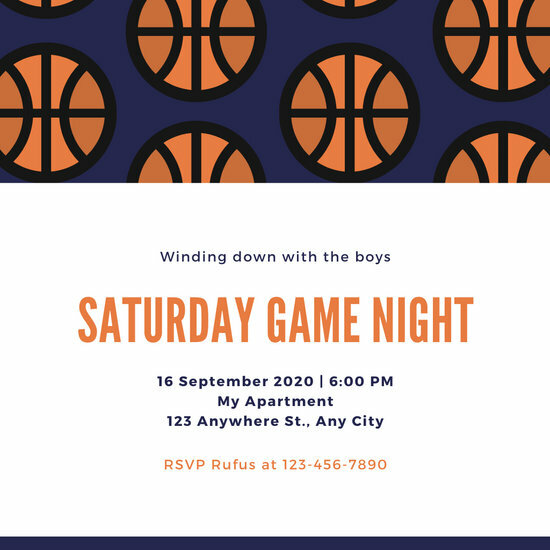 With your beautiful Canva-made invitation, you can be sure that the birthday celebration you’re having is off to a great start!